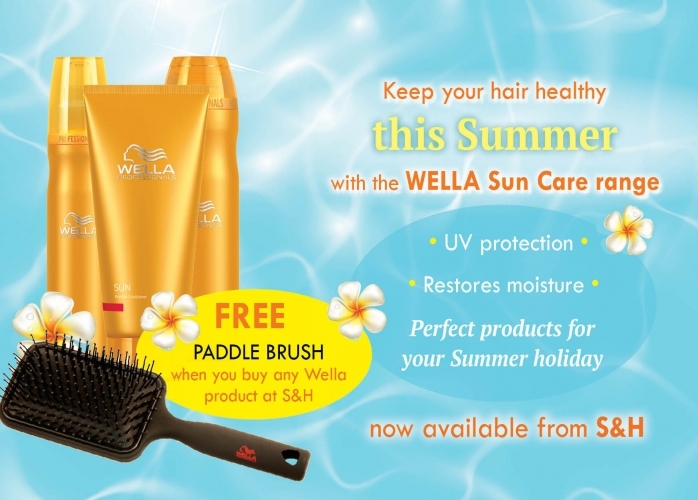 Wella Sun Care range and FREE paddle brush! Who’s looking forward to their summer holidays and getting away from all this rain?! 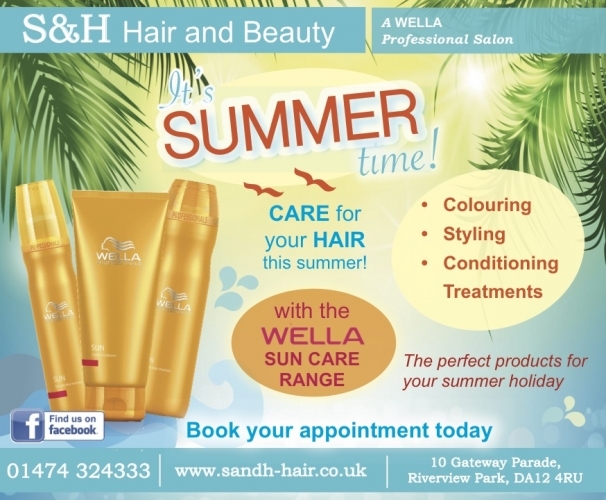 Keep your hair healthy in the sunshine with the Wella Sun Care Range, now available from S&H. The range offers UV protection for your hair and helps restore moisture, making it the perfect product for your summer holiday. 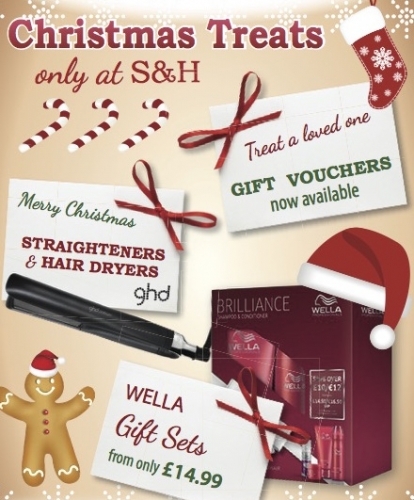 And when you buy any Wella products you’ll receive a FREE paddle brush too!!! While stocks last, don’t miss out on this great offer. Limited Edition ARCTIC GOLD ghd gift sets are now available from S&H! Treat your loved ones this Christmas to something they really want. The ghd V gold classic styler has been dressed for winter, with a bespoke arctic gold finish. They’re so pretty! All gift sets come with an arctic gold heat resistance mat, and packaged in a beautiful gift box. 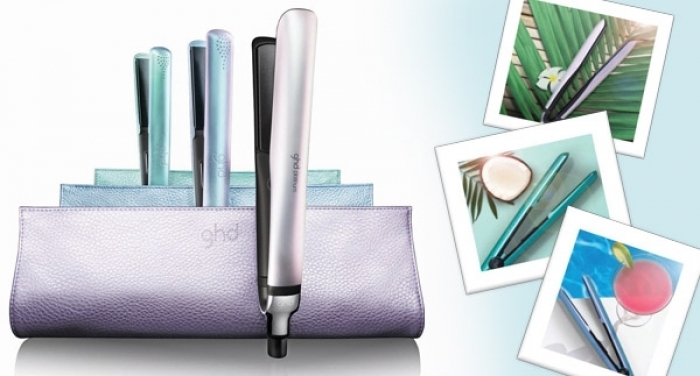 Come into the salon and see the range of GHDs. If you like to go blonder for summer why not try BLONDOR FREELIGHTS – a bleaching product from Wella. Why BLONDOR FREELIGHTS is such a great product: – No Foils are needed, which means less time in the chair and more time in the sunÂ – It’s the perfect choice for maximum lightening and there are up to 7 levels of lift – There are no limitations – A rich spectrum of tones and effects that can be applied in many different ways Come into the salon today to find out more! S&H 5 Year Anniversary Party! Not long now until the party of the year! It’s been 5 years since we first opened, so what better reason to celebrate than have a party. 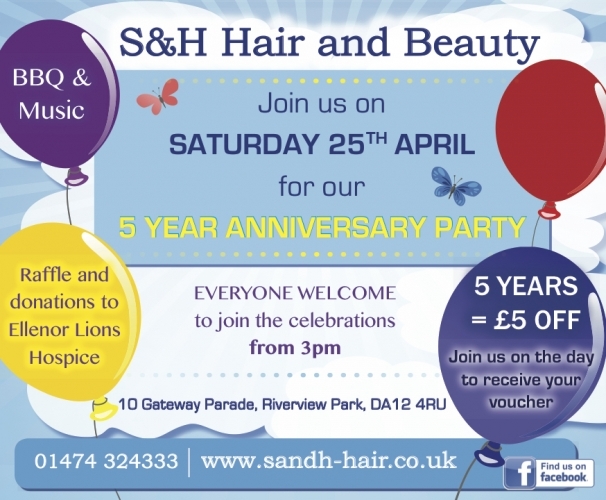 We’d like all of our friends and clients to celebrate with us, so come along to the salon on Saturday 25th April from 3pm. We’ll have BBQ and music, as well as a raffle. There will also be an exciting change to the salon… Come down on the day to see the big reveal! 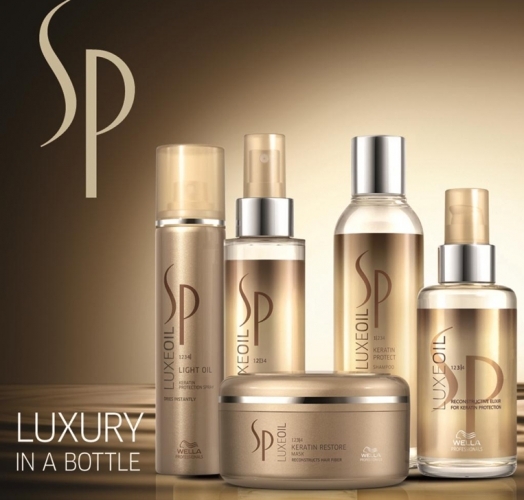 The Wella SP Luxe Oil Range is now available from S&H Hair and Beauty. A wonderful collection of styling products, which will help you to achieve soft, luxurious hair in an instant, as well as restoring and strengthening damaged hair. The collection uses Keratin and almond, jojoba and argan oils to hydrate and nourish. Pop into the salon to view the full range of products. 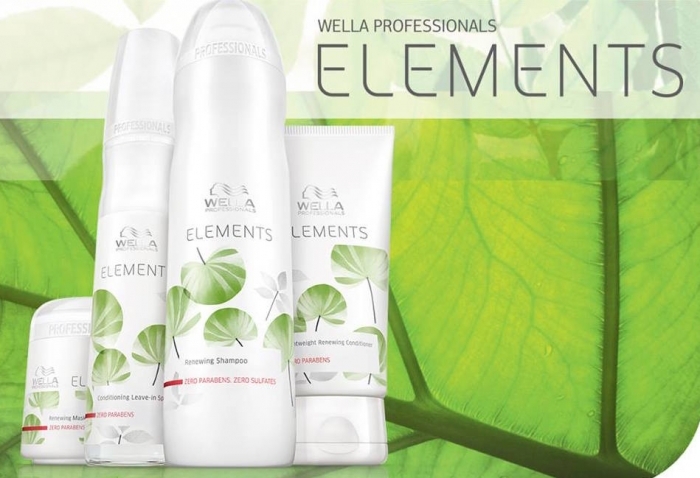 Try out the new WELLA Elements collection today! Now available from S&H. Wella Professional Elements is designed for ingredient conscious clients – it’s FREE OF SULFATES, PARABENS AND ARTIFICIAL COLOURANTS. The first ‘free of’ care system that instantly repairs and prevents against keratin degeneration. We think it’s a wonderfully natural product for your hair and we definitely recommend it. © S & H Hair and Beauty.